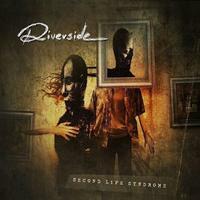 This is the second helping from Riverside, and if you liked their first, I'm sure this one would please all the more. That’s because it's an even better disc than the debut. This is an interesting band with a perfect blend of subtlety and intensity. For a prog band they go into all kinds of territory from Pink Floyd and King Crimson, to Porcupine Tree and Tool, combined with romantic 80s factors. Singer Markus Duda on vocals, bass and guitar seems to be the most challenged because his vocals are way outside the box for the progressive styles of this band. Still, he absolutely makes it all work. Along with Piotr Grudzinski on guitar, Michal Lapaj on keyboards and Piotr Kozieradzki on drums, they all make a superb combo. It's one of three of their releases I've been hearing, and I think it's their best effort of those three. This all begins with a bunch of whispering, and goes into a very drone like sequence throughout. Although this is a good opener, it really indicates nothing of what's to come. Starting off just as spacey, things take a big left hook and knock the arrangement completely out. The guitars soar like that of their first album, and all of the funk and bump is back. The vocals, which I happen to really like a lot, come in and do their usual eclectic job. This is one killer cut! This is a strong tune but of a lighter nature altogether, in what is more of a steady ballad. It’s not as low key as the first number, but there’s not much energy displayed here either. The title track is a majestic piece of work and then some, going into all kinds of territory and back, in what is an over fifteen minute number. 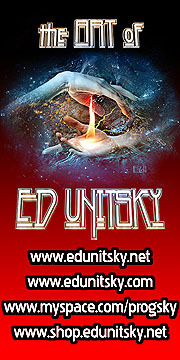 It features some amazing instrumentation and melancholy vocals. This is a contender for the best on offer, and there is a lot of competition where that came from. The variety of styles really come alive here, and the vocals are like night and day compared to the song before. Here they get into that Tool meets Trent Reznor sound which could be heard on their debut. They go down a notch here and maintain a nice lovely ballad with plenty of hard rock vibes to keep it interesting. This might even be another contender for best on the disc. As the previous track, it's one of the more enjoyable moments here. This is another awesome instrumental. We even get treated to some piano here, and some of the other twists work to create one exceptionally impressive showing. Everything is represented here from metal and prog to pop and electronica. This is another moment where they sound a bit like Tool, as the vocals become harder and harder as it goes. This is a tad dark and spooky compared to the rest of the disc, and very industrial as well. It’s another fantastic longplayer indeed. More darkness can be found throughout this closer, as well, but it has some cool abstract factors to keep it really interesting. And, as it goes back into the first song, you really get a seamless effect.